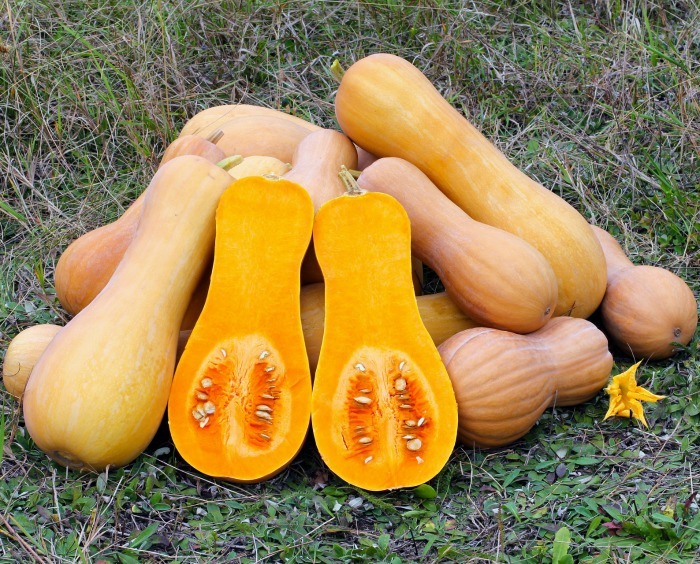 Butternut pumpkin (also known as butternut squash) is one of my favorite vegetables to roast. 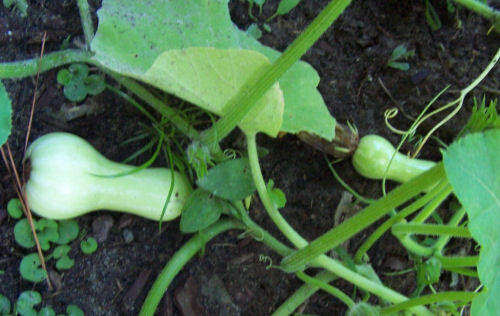 Cooking this vegetable in the oven brings out the sweetness in it. It looks as though it will be the star of my vegetable garden this year! 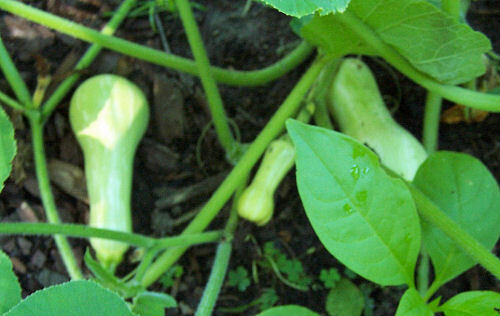 Butternut Pumpkin will be a major player in my garden this year. I planted a 6 x 6 foot mound of butternut pumpkin and acorn squash seeds. Dropped in a few seeds every 12 inches or so, added compost and just watered. That was in Mid March. 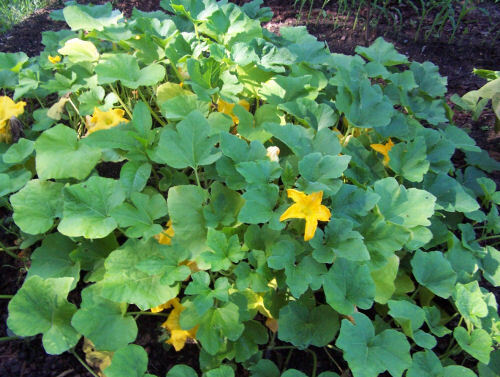 The patch is enormous now (mid June), has huge flowers growing in it which are really attracting the bees, and has so many small butternuts growing that I am sure to get a huge harvest of them this year. (no sign yet of the acorn squashes. Below are some photos of the patch and of the “babies.” Some of those babies are already 8 inches long, and there are many more forming. They need rich, warm and fertile soil. I amended mine with lots of compost. Plant a few seeds in each hole about a foot apart. I grow mine on a mound so that the vines drape over it a bit and are easier to manage. Water regularly to keep evenly moist. Add more organic matter as they start to grow. 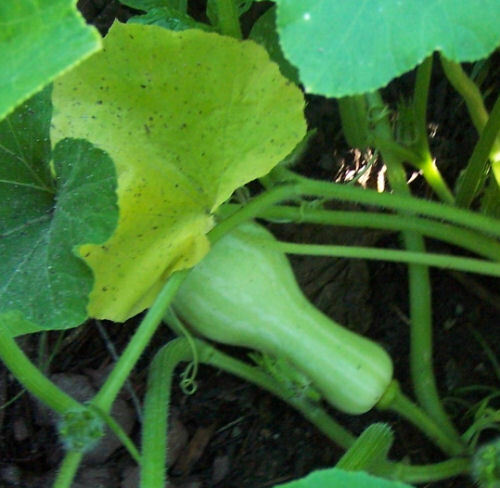 Butternut pumpkin has a long growing time until harvest. 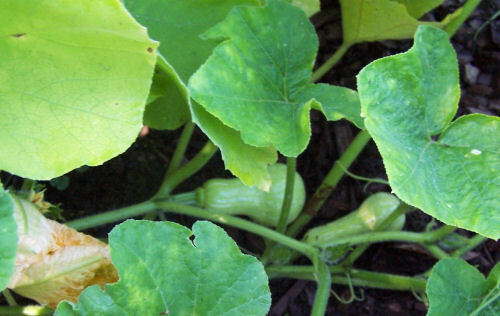 Plant it early to make sure that you will have ripe fruits before first frost. Store the butternut squash in a single layer in a room with a temp of between 50-55 degrees F. You can can, freeze or use them fresh. They will keep for months if stored this way.